Between the frigid commutes and dirty leftover snow on icy roads, winter in Philadelphia can be a downer. Lucky for us, though, the Pocono Mountains are only a couple hours away: a place where winter is a celebrated season that brings with it some of the best activities of the year, from tubing and skiing to imbibing and shopping. Take the two-hour drive to escape the grievances of city life, even if only for a weekend, and satisfy both the winter adventurer and the lazy vacationer in you. 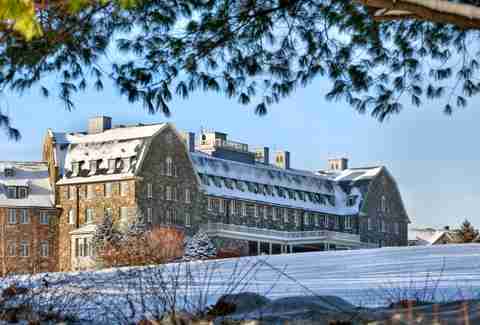 Here’s a look at our picks for the 13 very best things to do during a winter trip to the Poconos. The Radical Wine Company specializes in creating small batches of special edition wines using grapes from around the world. Cherry Valley Vineyards is another great stop because -- in addition to serving wines inspired by founder Dominic Sorrenti’s Italian upbringing alongside brick oven pizza and wine-infused dishes -- you can live out your I Love Lucy dreams and, indeed, stomp on the grapes at events throughout the year. 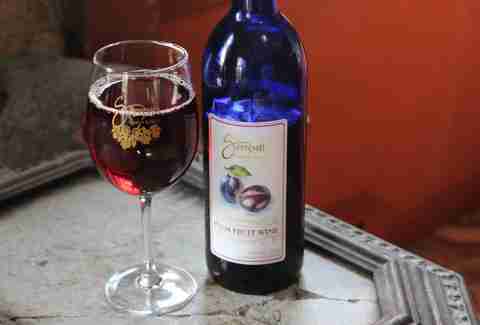 Cherry Valley is just one part of the greater Pocono Wine Trail, filled with worthwhile stops throughout the area. 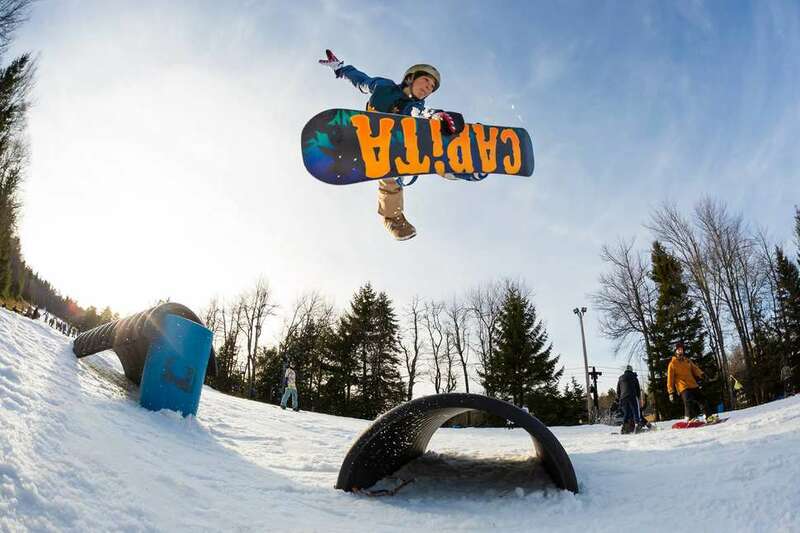 The Poconos is home to many choices when it comes to skiing and snowboarding. 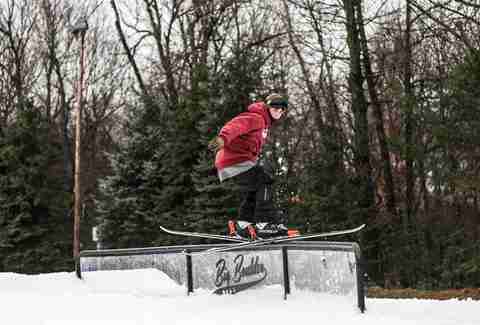 Jack Frost Big Boulder Pocono Resort has one of the best ski areas in the entire state, with day tickets generally going for $50-$60. Throughout the week, you can also catch live music at Jack Frost’s main lodge when you’re done practicing for Beijing 2022. For any lifelong city dweller, Jim Thorpe looks about as foreign as a cattle farm. 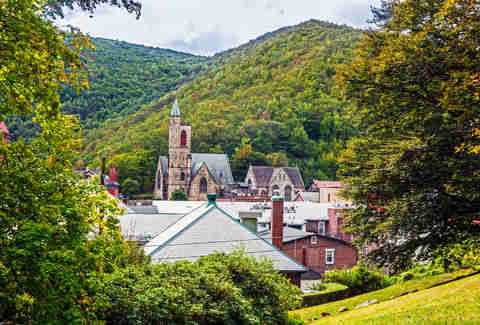 A small mountain town in every sense of the word, Jim Thorpe is nestled in the mountains with commercial real estate huddled around its main strip, Broadway. 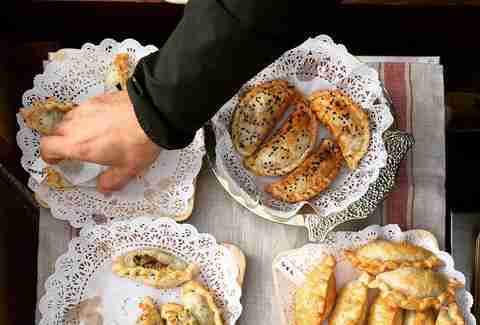 In the colder months, it becomes an idyllic winter wonderland, hosting an annual Winterfest that includes Mug Walk, when local vendors offer deals, hot chocolate, warm soup, and other goodies to visitors. There are also ice sculptures on display and the chance for a horse and carriage ride, if you really want to get to the next level of winter festivities. Winter is in full swing at Skytop Lodge, and there’s a ton of ways to get out in the snow, including toboggan chute rides -- one of the last runs of its kind left in the Poconos. 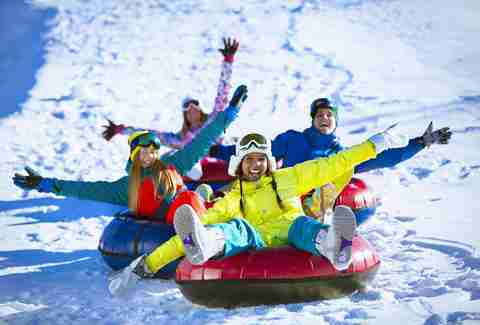 Tubing is also an option for when a whirlwind ride down a snowy hill is enough to satisfy your desires for winter adventure. Skytop is also home to a private 72-acre lake where ice fishing is a regular activity once its frozen over (just as long as you have a Pennsylvania fishing license). If you tire of floating lazily down the snowy hills, there’s plenty of stuff to do for more active types. There’s a sprawling outdoor ice skating pavilion at Skytop, while Hickory Run State Park and Promised Land State Park also have outdoor skating options, conditions permitting. Snowshoeing is another fun trek for visitors who want to stay active, with both Skytop and Pocono Manor offering snowshoe options for guests. Urban food snobs may not want to admit there’s an explosion of culinary masterpieces going on in the Pennsylvania mountains, but their loss is your gain. For starters, the Delmonico Room at Hotel Fauchere plates high-end American fare inspired by the chef’s long history working in French and European kitchens -- the lobster Newburg is truly not to be missed. For a slightly more casual atmosphere, head over to the Hotel Belvidere for retro-tinged American dishes at The Ridge Restaurant, including baked clams and grilled rack of lamb. 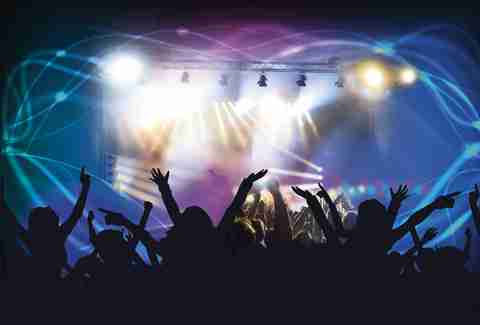 After a day that could involve whitewater rafting, sampling a half-dozen wineries, or some combination of the two, you’re going to need to unwind with a visit to some of the region’s best places to hear live music. The Deer Head Inn calls itself the home of jazz in the Poconos, and with good reason: Stop in most nights of the week for inexpensive shows featuring jazz groups, with free shows on Thursdays. If you’re looking to get a little crazier, try Wet Nightclub -- yes, the Poconos has clubs -- for DJ sets with the kind of neon-lit poolside ambiance you thought you could only find in Atlantic City. 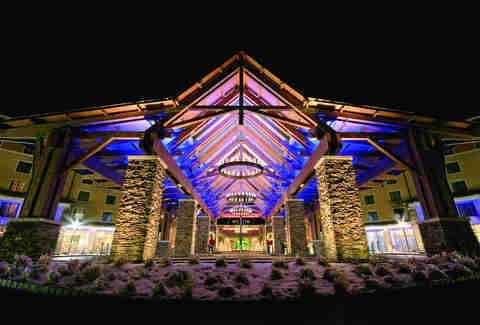 Another unexpected thing the Poconos has in common with Atlantic City: it’s home to a sprawling casino, and there’s no shame in trying it out for a night in the secret hopes of cashing in (or just laughing at yourself on the slot machines). Games are available 24/7, and the casino plays hosts to tournaments and other special events throughout the year. If you like to search for buried treasure, look no further than Der Jaeger: a hybrid antique store and BYOB restaurant that ensures you’ll never go hungry in your hunt for a valuable find. 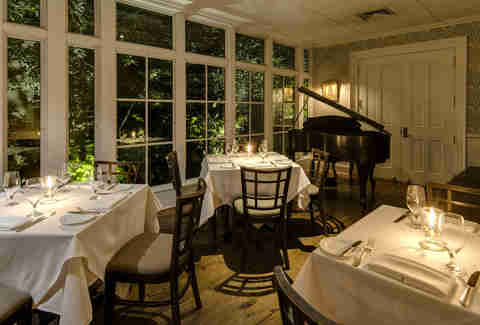 The restaurant is notable for its generous seafood dishes, including stuffed crab and grilled lobster tail. Outside you’ll find the year-round BBQ pit, serving grilled classics -- pork ribs, burgers, bratwurst -- fresh from the grill, no matter the weather. The Poconos is also home to a huge volume of farm-made delicacies, available year-round throughout the region’s numerous markets. The Monroe Farmers Market and The Cooperage Project offer weekly chances to get fresh produce and other items, even when it’s icy outside. Also, don’t skip the Pocono Bazaar Flea Market, where you can get truly exceptional funnel cake from Sho-Nuff Delights (which also has fried Oreos, Snickers, and Twinkies on the menu). For the closest possible experience to a bustling downtown in the middle of the mountains, the borough of Stroudsburg has a lot of what you’re probably looking for: strong cocktails and outdoor seating at Garlic Restaurant & Bar; cigars and a game room at Newberry’s Yard of Ale; and incredibly fluffy pancakes at Compton’s Pancake House. 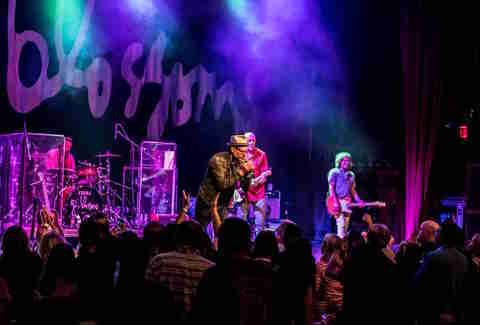 For entertainment, the Sherman Theater hosts concerts and community theatre on the borough’s main strip, while Pocono Cinema & Cultural Center -- heavy on the retro vibes -- plays a mix of indie new releases and special film events. Friendly and adorable (and rescued!) 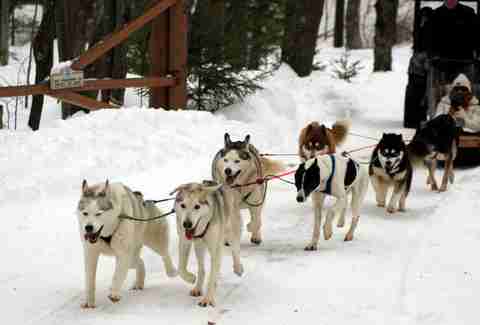 Alaskan and Siberian huskies will be happy to meet you at Pocono Manor Resort & Spa, where you can learn to mush the dog sled and have the pups take you on a tour of the snowy landscape. You can also choose to either stand on the sled or sit in the basket, whatever suits your pace best.